The flight from Kanger was a quick ~2hrs on a packed LC-130. 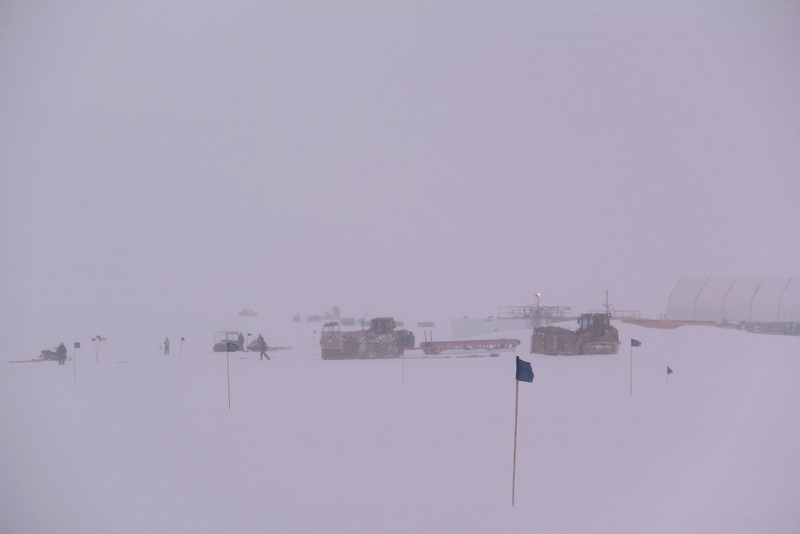 We landed smoothly and stepped off the plane into blowing snow and low clouds; More grey than white. The droning, rumbling pulse of the props faded as we made our way off the flight deck and towards the Big House. The snow was soft, sliding beneath our boots like sand. The air is thin and I breathed hard, clutching my heavy parka and water bottle. I was prepared for the cold, but maybe I’m getting used to it by now, the wind was brisk, but not shockingly cold. It’s warmer here than at Pole – more like West Antarctica (10-20 degrees Fahrenheit…above zero), and we are at the height of summer. Walking past the Shop (SOB) and the Green House I couldn’t hide a grin, it’s good to be back. Some of the Summit crew was out to greet the pax and people hugged and waved and welcomed us to Summit Station. I spent the summers (April-August) of 2010 and 2011 here at Summit as a Field Coordinator and Science Tech respectively. While most people start in the Antarctic program before coming to Summit, things happened to work out such that I deployed up here first. It was my first experience in the polar regions, in the true Arctic, and amidst the Great Flat White. I fell in love with the variety of projects, the significant research, and the small community. This time around I’m here for just a short period, 6 weeks till the end of August – an extra hand to wrap up the summer season and close things down for winter. There are 19 people here now, but at the end of August we will leave only five: the manager, mechanic, and three science techs. The large summer science groups have all gone and until next month we have in addition to the five person winter crew, a cook, a cargo person, a heavy equipment operator, two field coordinators (including me), a medic, an IT person, and a construction crew (aka Carps) including an electrician, a plumber, and six carpenters. The summer season, like down South, is a whirlwind of projects both for science and support. These last few weeks are a chance to delve into some of the more intensive endeavors such as raising the Big House and constructing and organizing the winter berm. Most of the people here have spent many seasons in Antarctica and many are going back to the ice later this fall. They understand when the question “Where are you from?” isn’t easy. Saying “Well, my storage unit is in…” is a perfectly valid answer. Back on the ice. 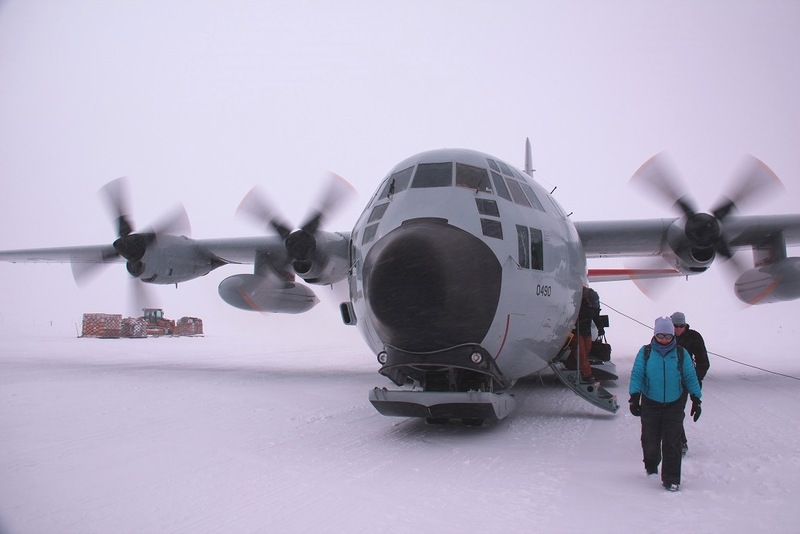 The skis are lifted when the Herc comes to a stop so they don’t freeze in place. The plane is now resting on the wheels. All of Summit looking very small in the great flat white. At the height and heart of the Greenland ice sheet Summit sits at 10,530ft (~3,200m), surrounded by thousands of square miles of ice. The great flat white. Away from the station it looks much like the South Pole, or Byrd. 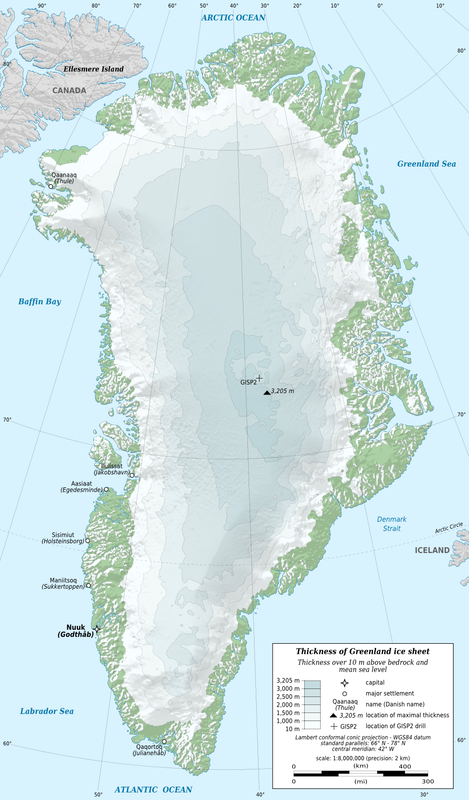 Established in 1988 to support the Greenland Ice Sheet Project 2 (GISP2) ice core Summit now supports a wide range of seasonal and long term monitoring projects. 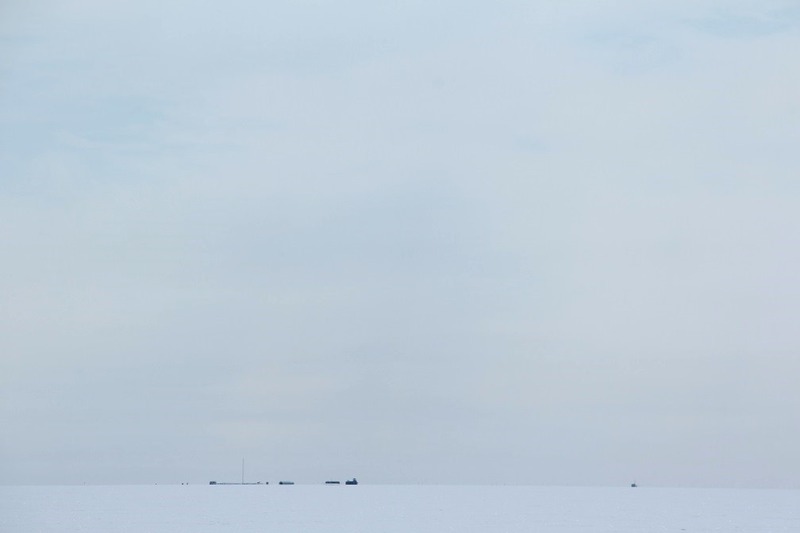 It also serves as an important site to test equipment heading to Antarctica. Today the station is maintained by CH2M Hill Polar Services, and through them, Colorado based Polar Field Services (PFS). CH2M Hill’s official site gives a good overview of the station. Summit consists of three main buildings: the Big House, the Green House, and the S.O.B. or Science Operation building (the shop). In addition, there is the Temporary Atmospheric Watch Observatory (TAWO) and the Mobile Science Facility (MSF) which are used year-round. During the summer a number of seasonal structures and a “tent city” are erected to support the larger population. Unlike the South Pole’s distinct winter and summer seasons, the year at Summit is divided into three Phases: Feb-Jun, Jun-Nov, and Nov-Feb. The winter crew is a tiny 5 to 6 people: manager, mechanic, three science techs, and sometimes a heavy equipment operator in the spring. During the peak summer season, Apr-Aug, a medic, cook, cargo coordinator, and field coordinator are added to the station staff. With science groups and construction crews the summer population can reach 50, though the average summer population is closer to 30 people. Some other cool links are the webcam which is mounted on the Big House – looking North towards the Green house and SOB: Summit Webcam and the current weather page here. Kangerlussuaq, Kanger, Bluie West-8, Sondrestrom, Sonde, Søndre Strømfjord…The coastal hub for US operations is tucked back in Greenland’s longest fjord. 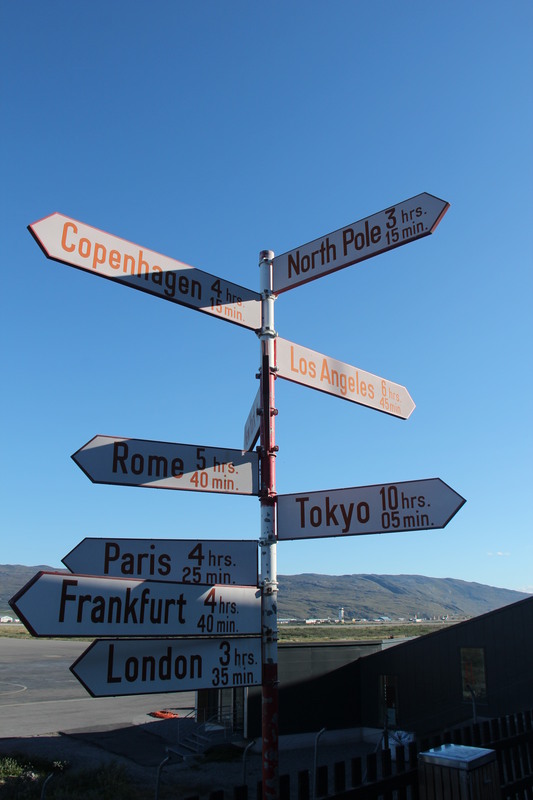 Established in 1941 by the US military it is now a commercial and air hub for West Greenland. 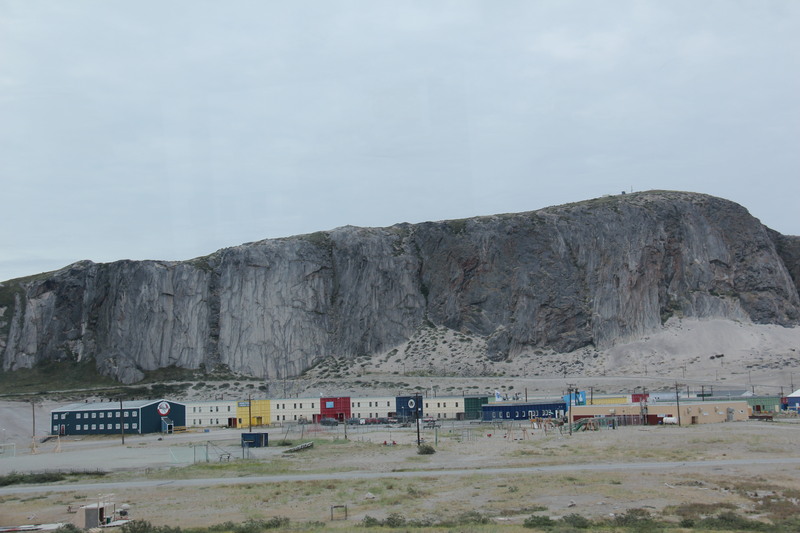 The small town (~550 people) is surrounded by undulating glacially scoured hills where muskox and caribou roam. No trees grow here, just scrub and grasses. For science support and researchers coming from the US this is the point of entry. The town is comprised of a few houses, old military barracks, an airport, and a few other buildings. 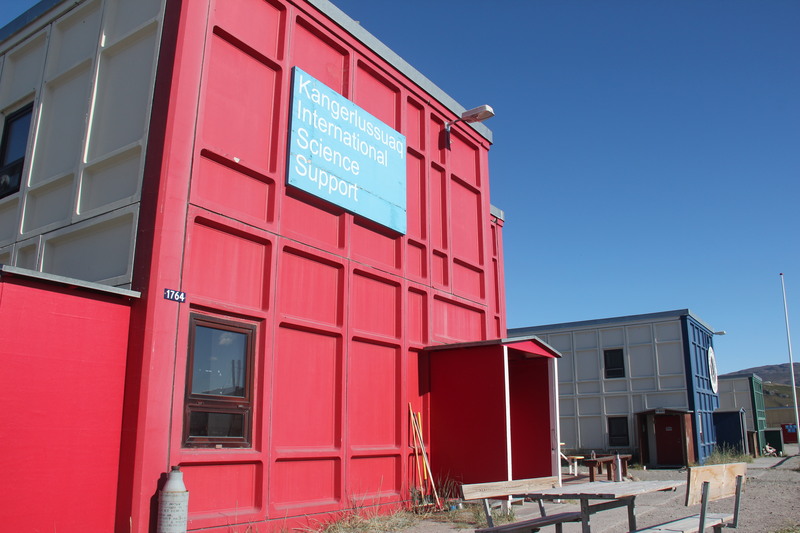 The Kangerlussuaq International Science Support, aka KISS, hosts researchers from around the world. There’s a very small grocery store, a cafeteria at the airport, and the Polar Bear restaurant with thai, muskox, and anything fried. It’s a small community and nearly everyone smiles and waves as they pass on the road. 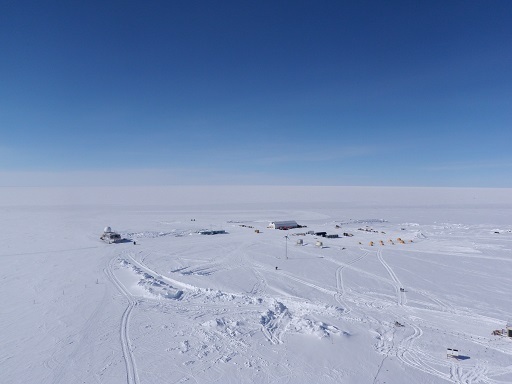 There is quite a lot of research done in the immediate area of Kanger and at sites on the ice sheet not as far away as Summit. The Summit crew however usually spends a day or two getting the required gear and making sure everything is lined up for the season. There are some good hiking routes in the area and beautiful lake Ferguson and great views from prominent Black Ridge. In past seasons I’ve arrived in April when the ground is still covered in snow, and the wind is bitingly cold. This time we arrived in the warmth of summer – luckily just past peak mosquito season. The light lingered and it was bright well past 10pm. We are definitely now in the land of the midnight sun. We spent two nights in Kanger, filling the day between with orientation, training, gathering gear, and stretching our legs on walks around town – enjoying the last bits of green and brown, of birds and bugs and people. Next stop the flat white – Summit Station! The K.I.S.S. building that houses researchers and support staff. Since starting this blog I have worked only in the Antarctic, but after taking several months off to travel I am now heading up to Greenland to work for a few weeks with the U.S. Arctic program! The Antarctic is a continent of itself, neatly isolated by oceans and sitting beautifully over the geographic South Pole. There are no indigenous peoples living in this region and while there are lots of penguins and sea life, no wild polar bears live in the Southern hemisphere. The Arctic, on the other hand, encompasses parts of Canada, Alaska, Greenland, Russia, and numerous islands. 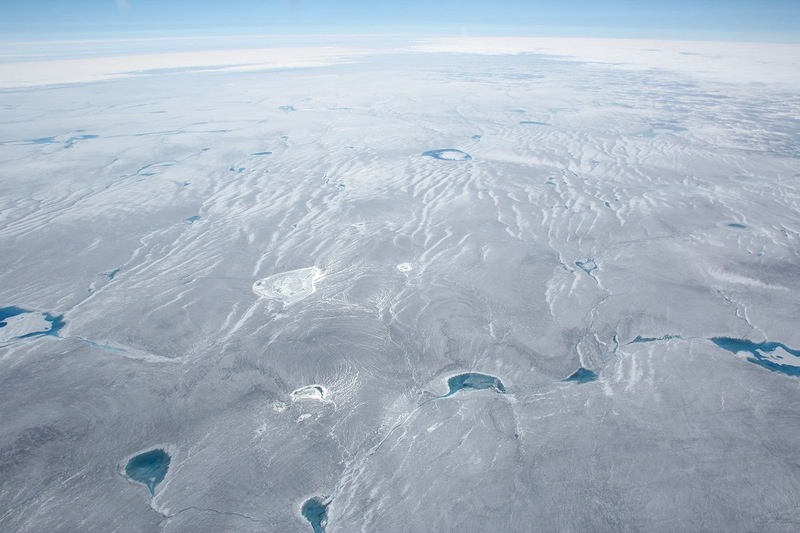 The North Pole is beneath the Arctic Ocean so there is no permanent base at the North Pole. There are polar bears here, muskox, caribou, and lots of seals, but no penguins. Before starting this blog I spent two summers (Apr-Aug) up at Summit Station as the Field Coordinator in 2010 and as one of the Science Techs in 2011. Photos from that last season are here. 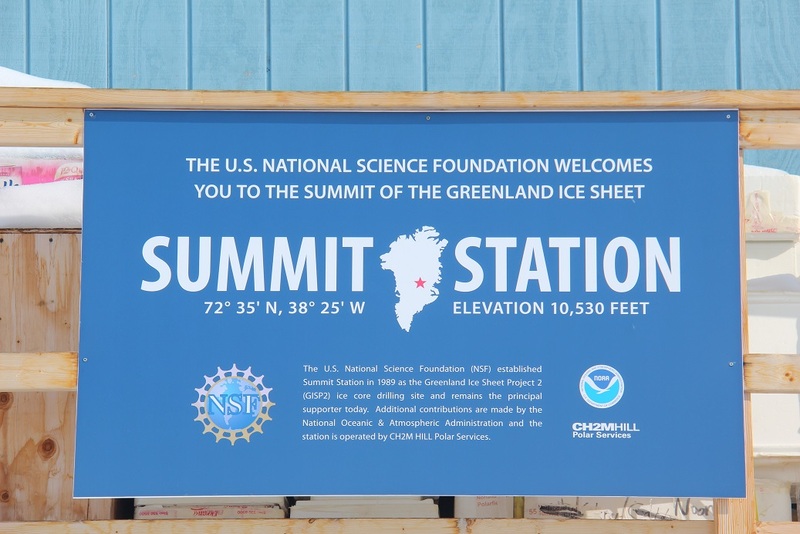 Summit is located at 72°35’N 38°25’W,in the very heart of the Greenland ice cap. Like the South Pole, it’s flat and white with no animals except a stray bird now and then. 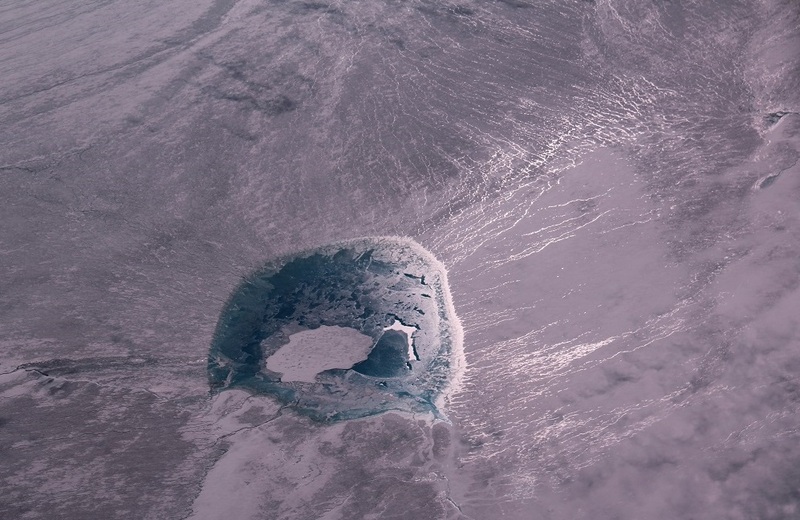 Summit sits at 10,500 ft elevation above two miles of ice. It’s much smaller than Pole with a summer population usually under 50 people. During the Northern hemisphere summer (~Apr-Aug) The New York Air National Guard (ANG) sends the ski equipped LC-130 Hercs up to Greenland. These are the same planes and crews that work in the Antarctic. 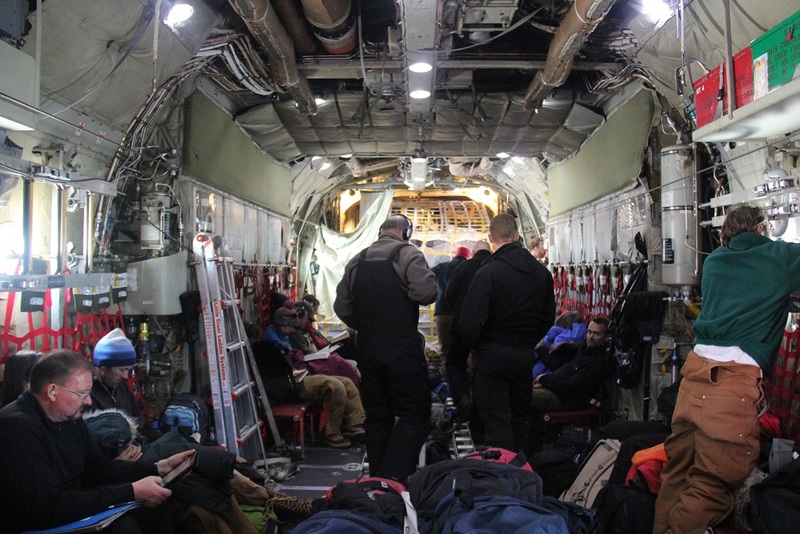 Deploying to Greenland during the summer season starts in Schenectady, NY, near Albany. This is where the NY ANG is based. From here it’s about a 7 hour flight on an LC-130 to Kangerlussuaq, Greenland with a quick refueling stop in Goose Bay, Canada. 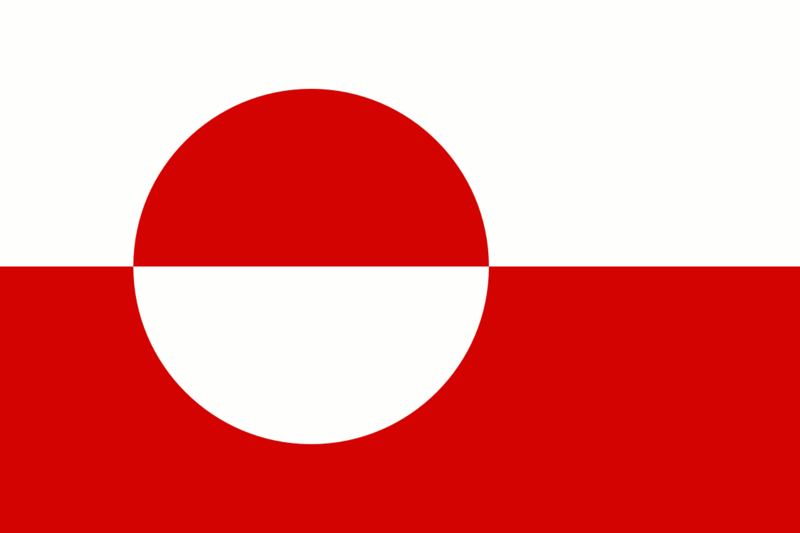 Here is a map of Greenland. 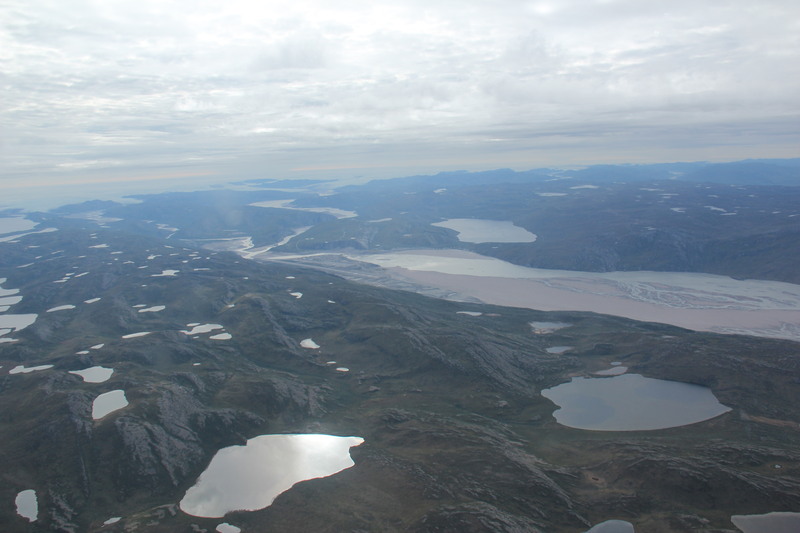 Kangerlussuaq is located near the arctic circle, just SE of Sisimiut on the West coast. 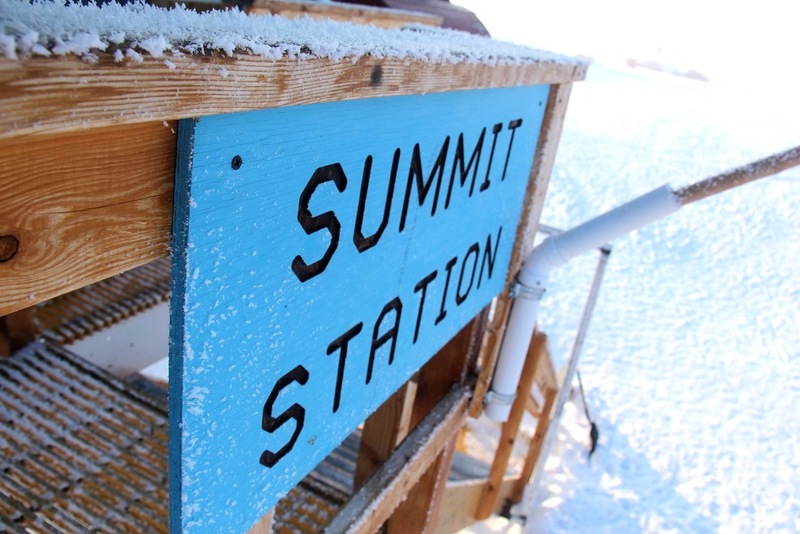 Summit Station is located in the heart of the ice sheet, near the maximum depth icon. So after lots of reading about Antarctica, the South Pole, and field camps, the next few posts will be from the other end of the world. The Arctic!